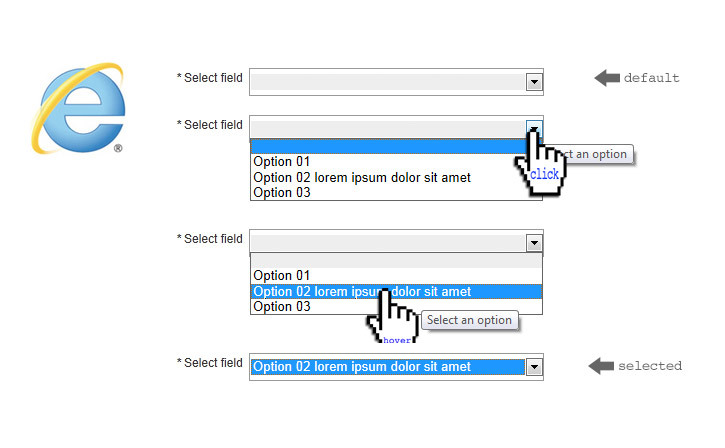 Enhance the layout of your dropdown list based on the HTML <select> tag. The following CSS code will NOT affect the layout and usability of your forms in other browsers then Firefox since only Mozilla’s Gecko layout engine seems to support custom styling on the <option> tags. 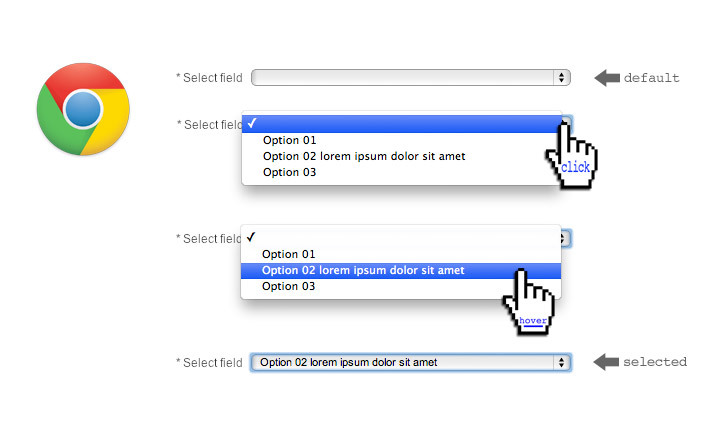 HTML5 requires to set a lang value on the <html> tag. Let’s use it for my French Canadian translation example. 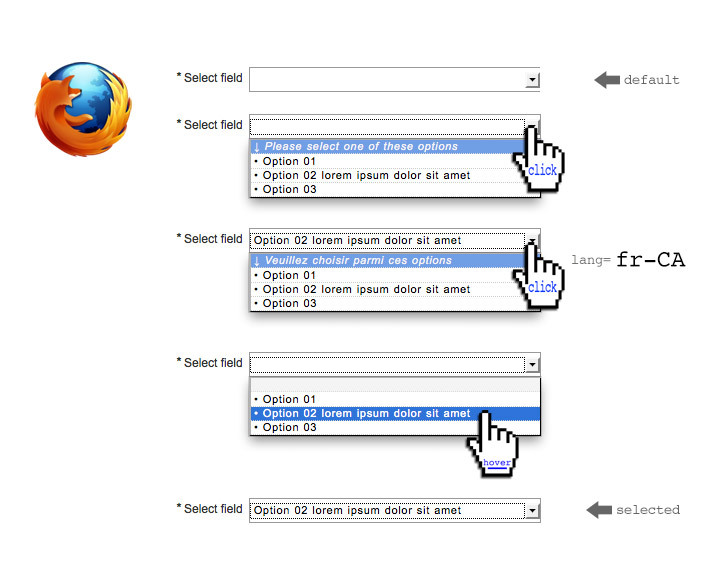 Here are screen capture images from 3 major browsers.